We offer Holiday packages all over the world. 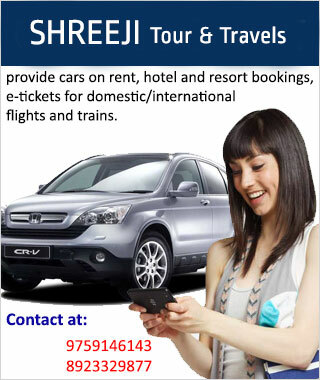 Shreeji Tour & Travels is a deep-rooted name for making your holidays memorable. We offer Holiday packages all over the world. We specialize in tours all over Domestic Destinations & International Destination. We have been travelling with you since last 5 years & we are proud to have huge satisfied client base. Our main mission is to achieve a concrete success in the Industry and build the Brand Image of the company beyond heights. We continuously endeavor to achieve our goal of being one among the best Customer focused company and provide maximum customer satisfaction.